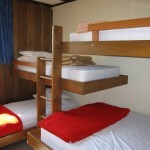 Gafia Lodge accommodates 30 people in six bunk rooms of 3-8 beds, with a mix of double and single bunks. Portacots are also available. All beds have mattress protectors, pillows and at least one blanket. 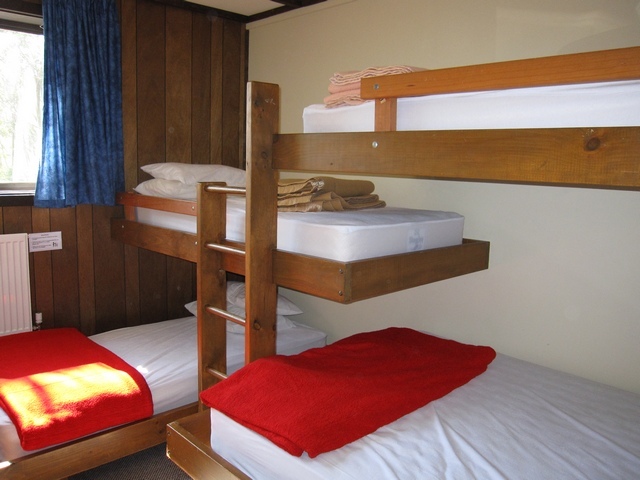 Guests must provide bed linen and/or sleeping bag and towels. There is hydronic heating in all bedrooms. 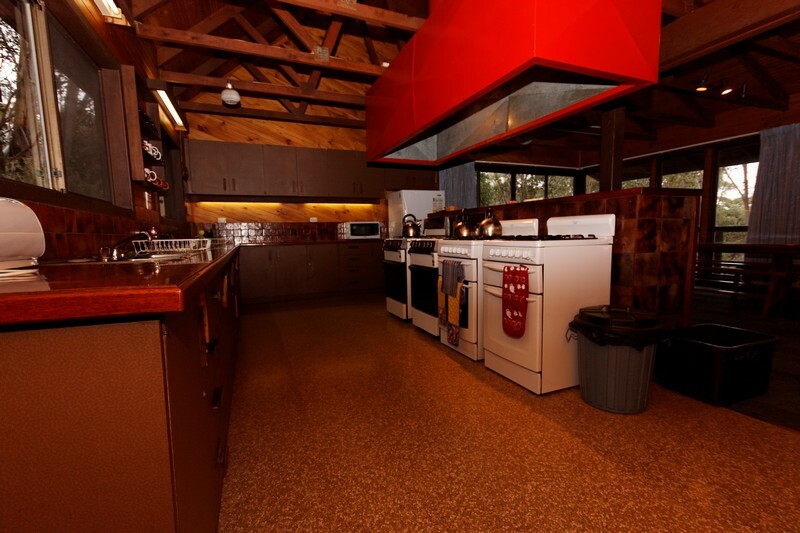 The lodge is self-catering with two refrigerators (one with a freezer compartment), four gas stoves, a microwave oven and toaster plus ample cupboard space for visitors’ supplies. Aside from the two refrigerators, there is space for portable coolers outside in the snow in winter. 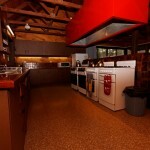 The well-equipped kitchen has plenty of cutlery, crockery and cooking utensils for large groups. 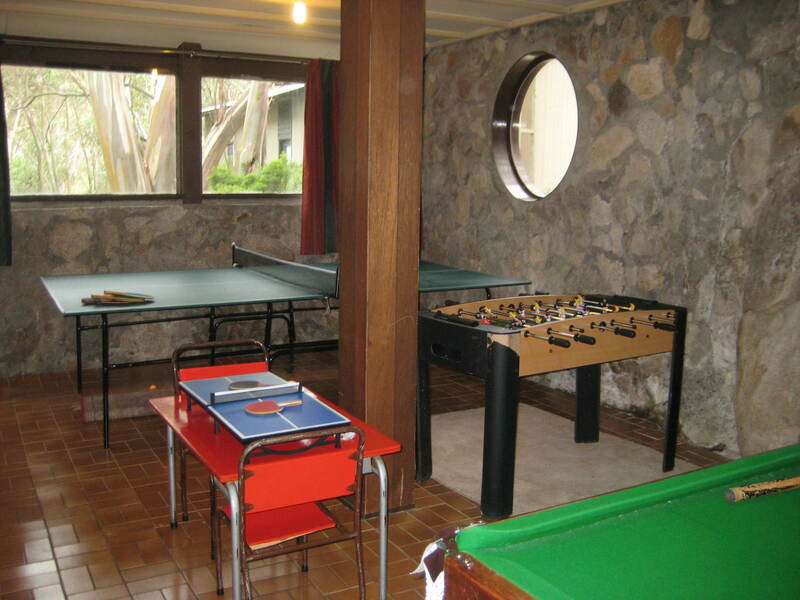 As well as the large communal dining area and lounge room with a cosy wood heater, there is also a smaller lounge for those wishing to have a quieter time. 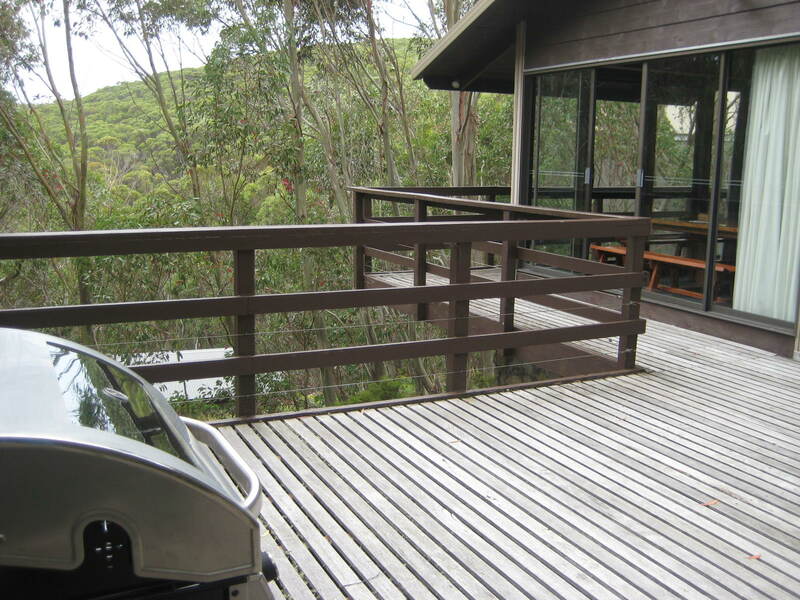 If the weather is fine, the BBQ on the spacious deck gets well used in both winter and summer. 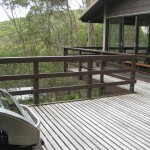 As in all mountain environments, inclement weather can come to Mt Baw Baw at any time of the year. 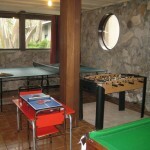 Our Games Room has plenty to keep guests busy with its table tennis table, pool table, hooky board and table-top soccer. 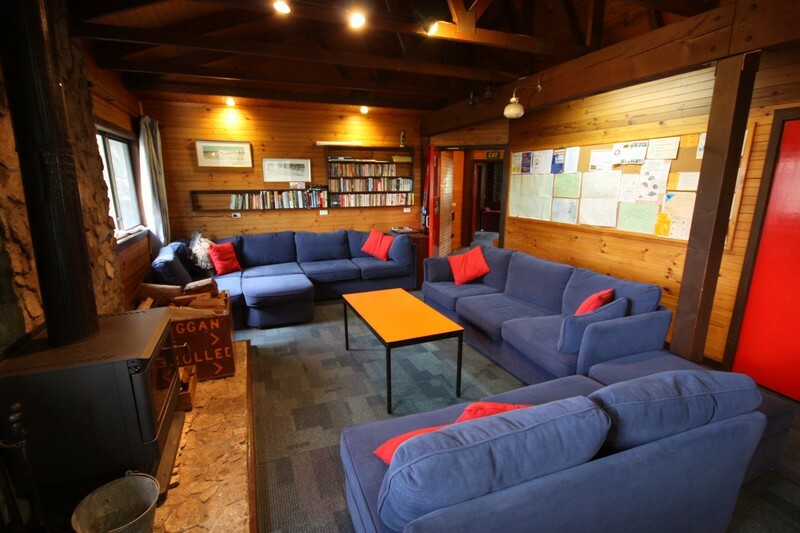 Alternatively, guests can sit around the wood-burning heater in the lounge and take advantage of our library of books for all ages, jigsaw puzzles, games and children’s toys. Limited parking is available at the front door in the summer months with further parking in the day car park about 100 m away. In winter, cars can usually be unloaded near the day car park and then parked a short distance away. 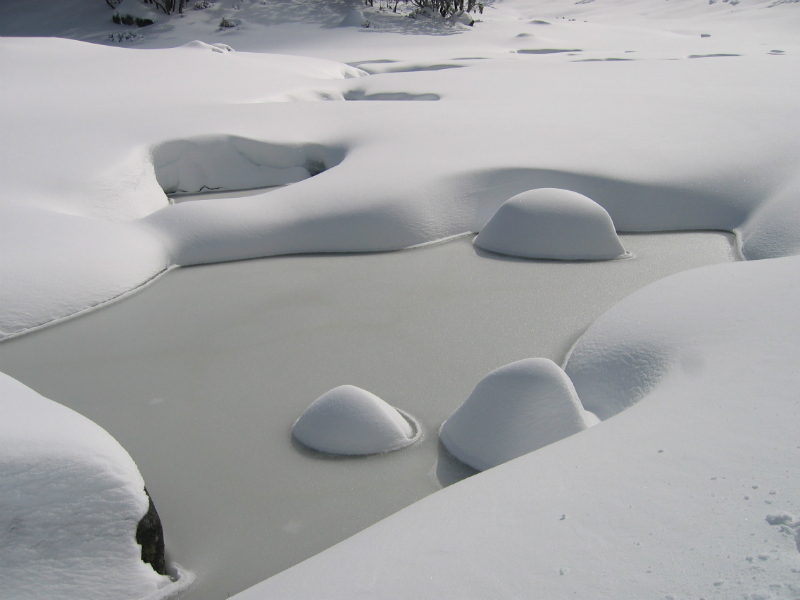 Some basic supplies are available on the mountain during the snow season, but we suggest that guests take everything they think they will need. 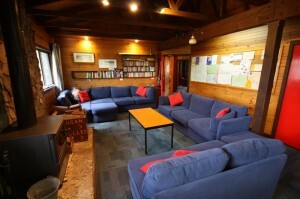 Meals and drinks are available during the snow season at Village Central, Kellys and the Alpine Hotel.